The best adventures challenge and change you, push your comfort levels and open your eyes, and this journey definitely accomplished that and more. Nicaragua presented harsh realities in contrast with beautiful glimmers of hope, the grit and the grime of third world poverty alongside gorgeous beach sunsets in a tourist’s paradise. Not to mention the contrasts between the polished and touristy Costa Rica we just visited, affluent and expensive compared to most of Nicaragua… To say the least, I have come home a different person than when I left. And that is precisely why I travel. During our last few days in Nicaragua, we hopped in a new friend’s car for a little day trip. 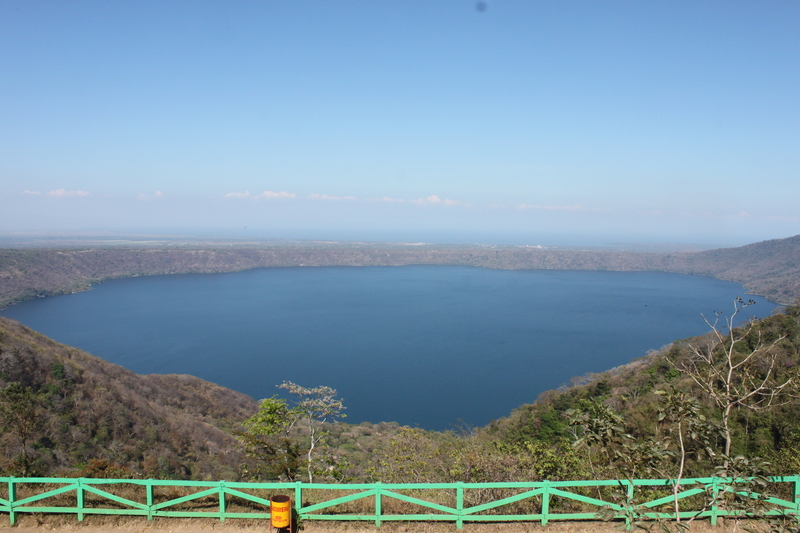 Vera had gone with us to Playa Quizala and offered to take us on a tour of Granada and Laguna de Apoyo. First we stopped by her parents’ place on the outskirts of Managua. 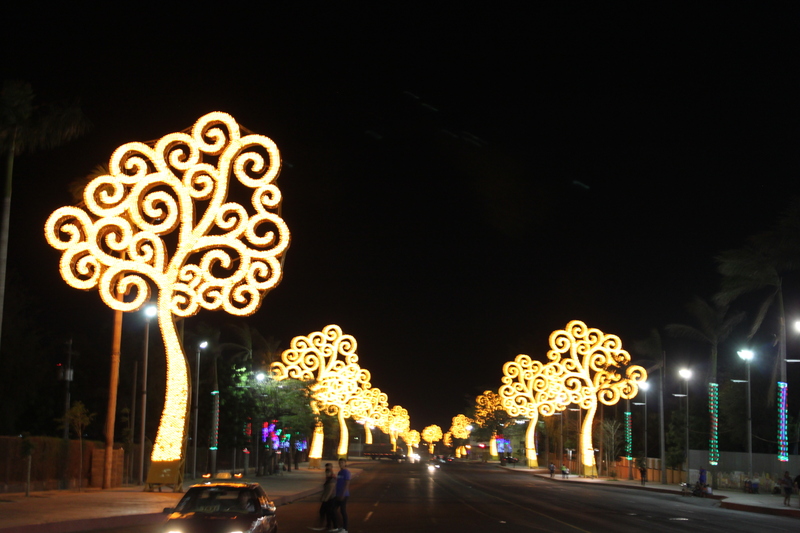 It was a beautiful gated complex full of well-tended fruit trees of every kind. We went crazy picking mangoes, avocados, guavas, starfruit, mint, tamarind pods, hibiscus flowers, limes, oranges, mandarins, grapefruit, bananas, and several fruits that were totally new to us. I will definitely miss the abundance of tropical fruit more than just about anything else in Central America. On our way to Granada, we stopped at a viewpoint above Laguna de Apoyo, a crater lake formed by a volcano, and had a nice view and a quesillo from a street vendor. A bit later we were in the colorful cobblestone streets of Granada, which was colonial and a bit European looking and reminded me a lot of Arequipa, Peru. We drove through the town, which was flanked by a volcano and the enormous Lago de Nicaragua. 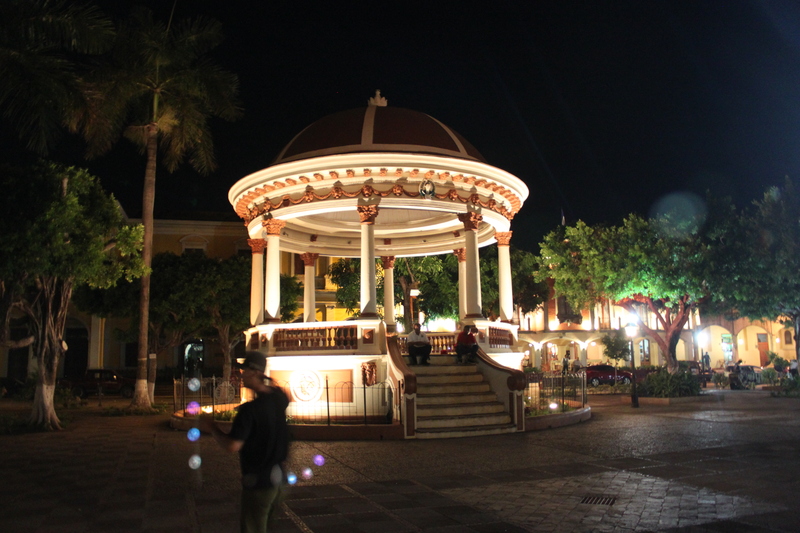 We stopped for delicious Mediterranean food and walked around the town square, which was in a state of awkward celebration since it was St. Patrick’s Day. There were lots of people in the streets, large dancing puppets on display and music playing, so we had a beer, haggled with street vendors and enjoyed the absurdity of Americans celebrating an Irish holiday in Central America. We all agreed that it sure beat the drunken shitshows going on in most North American cities. On our way back to Managua, we stopped in Laguna de Apoyo in hopes of finding a place to stay for the night, but the hostels were all full. We got drinks at a hostel instead, with a nice bar overlooking the lagoon. 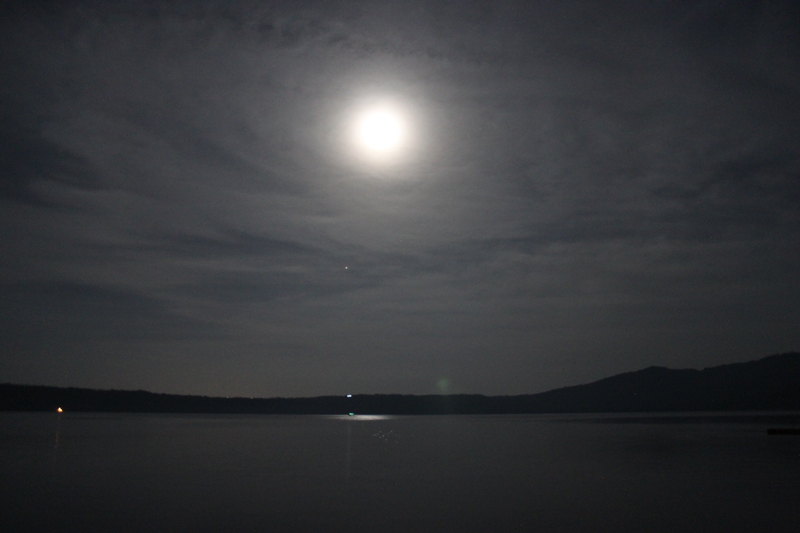 The full moon was shining over the deep crater lake, and we decided to go skinny dipping in the lagoon to cool off. The water was perfect and we swam out to a dock to dive in and actually got a bit chilly in the water. It was a perfect night for a moonlit swim. 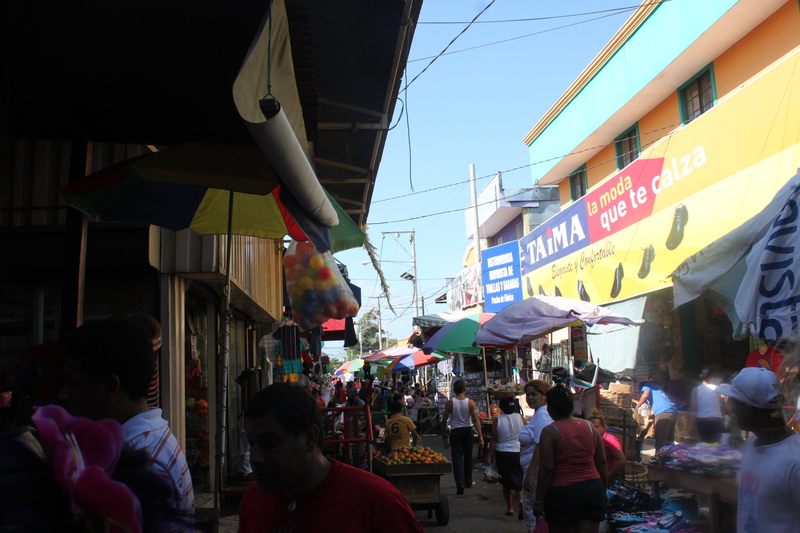 The next day, we took a bus to Masaya, a bustling artisan town with big markets. We headed to the market that more locals shop at with better prices first, it was much busier, grittier, and more chaotic, but the prices were great. We got dried hibiscus flowers and cacao beans, gifts to take home and a snack. 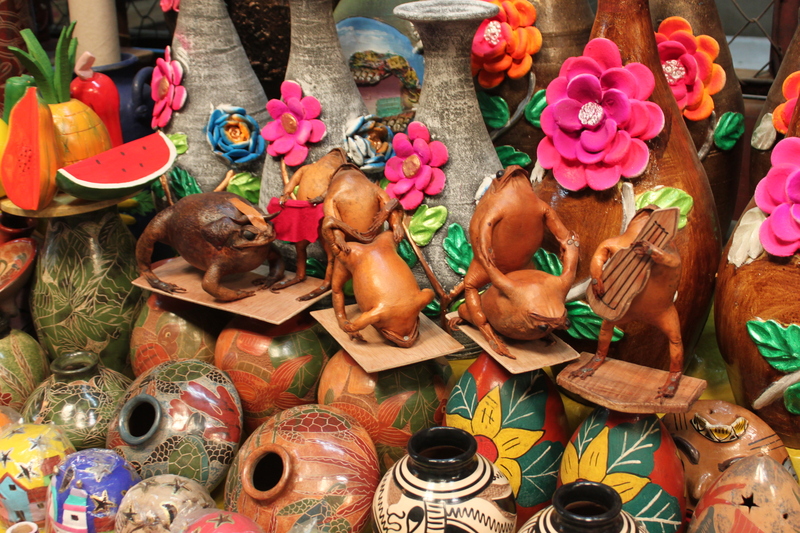 The market sold everything from hammocks to cheesy souvenirs to kitchen items to machetes to shoes. It was full of young kids who were weaving items out of palm fronds, then attempting to hand them to passers by so they could ask for money. They would literally force things into your hand or hang them on you, then come back and ask for money later. They were very creative and talented, but it broke my heart to see young kids that should be in school persistently selling useless gimmicks for pennies while they huffed glue hidden in their shirts outside the markets. The shop keepers were also very persistent and outgoing, trying to lure us into their shops with a few English words and colorful decorations. We didn’t have much money to spend, but James got a bag, I got some gifts and locally made souvenirs, and Genevieve and Ruben each got colorful duffel bags full of gifts and goodies. After the busy first market and some food, we decided to check out the other market on the other side of town and took a tuk-tuk over to it. This market was quite upscale compared to the last one. 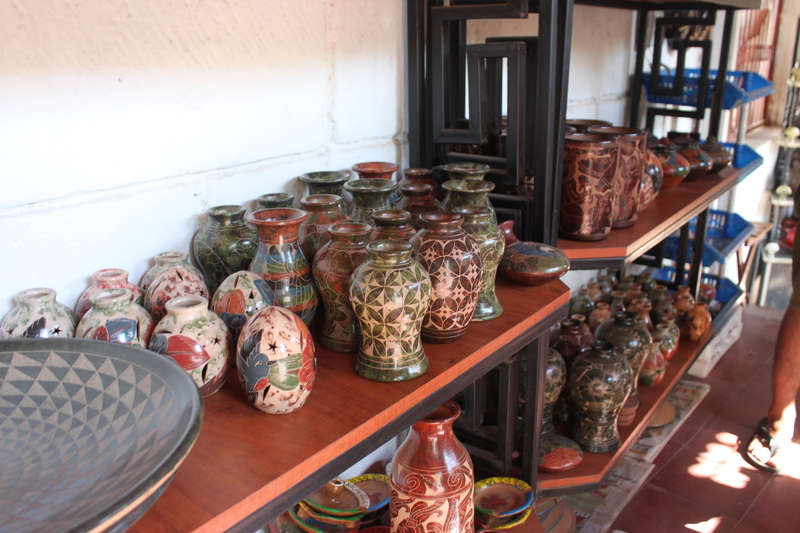 It was inside a castle-like fortress and had neat, organized stalls full of mostly touristy handicrafts and souvenirs. The prices were at least double what they were in the local market and it felt a lot less “real” but it was interesting to see the contrast. We shopped a bit and had a smoothie before catching a bus back to Managua. On our last night in Managua, James’s dad threw us a going away party, and lots of friends we had met in Nicaragua came to say goodbye and convince us even more heartily to come back soon. We made veggie kebabs and meat on the grill and had lots of mojitos and local beer. It was a great reminder of all we’d gotten to do on our short trip: making connections by performing for people, volunteering, and exploring a few epic spots as we talked with some of the new friends we had made. At the party I talked a woman who ran a children’s center for street kids, and she mentioned how easy it is to plug in and find a way to help down there, especially with skills and money from North America. People there want to work with Americans, and there are SO MANY opportunities to get involved and make a difference. Everywhere we went, I noticed lots of litter and a lack of recycling facilities, tiny pregnant kittens and an abundance of skinny street dogs because spaying and neutering programs are nonexistent, kids living off of nothing and selling stuff on the street who should be learning in school, not to mention people begging, sleeping in the streets, and living in squalor. But I also saw so many signs of promise, creative solutions being put into practice, resourceful people willing to learn and wonderful organizations doing great work to better the lives of Nicaraguans. And I was so impressed with the people, who are in general curious, welcoming, open-minded, politically and historically aware, worldly, conscious, spirited, resourceful, creative and hard-working. As soon as I stepped on the plane home, I wanted to go back. I need to go back. I’m not done with Nicaragua yet. Pretty much as soon as we arrived in Managua, James and I were convinced we would be back as soon as we could afford to. His dad has a nice home set up with room to spare, and connections with all sorts of forward-thinking people who are involved with exciting projects. He also got us a gig performing with glow toys at a benefit, and even though our impromptu show was awkward and last-minute, we have been invited to come back for more performances and to teach flow arts workshops. The next time we return, we hope to come armed with props to give out to Nicaraguan students, or at least supplies to make props and then teach people how to use them. Which means we both need to learn the art of teaching, a lot more spinning practice, and to brush up on our Spanish skills. 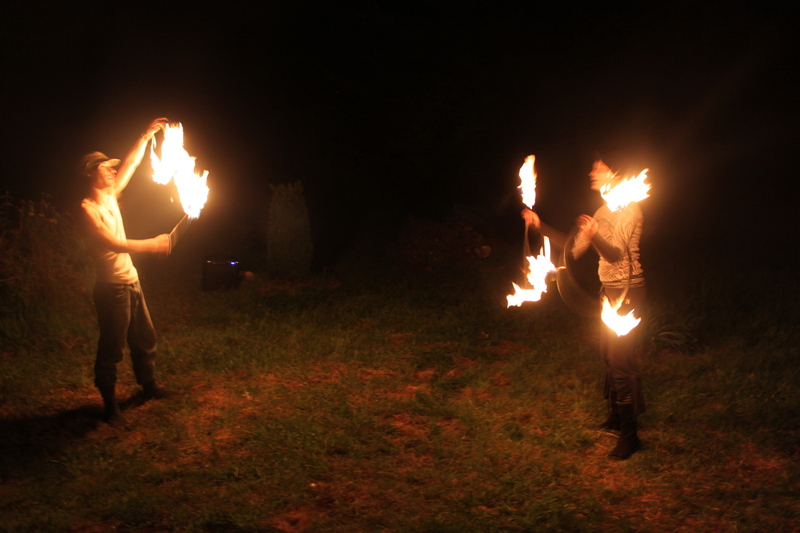 We spun fire on the beach twice while in Nicaragua, and everyone who saw it was really interested and excited to learn more. We met a couple fellow spinners and even showed a few random street kids and some new friends a bit about spinning poi and flow wand. Flow arts provided a way for us to instantly connect with people there, and everyone was eager to learn more, which is a wonderful sign and gives us a lot to work on for our next trip! Of course we will get more involved with existing organizations doing good work in Nicaragua, but we can also work on bringing a little something of our own to people who could use a creative outlet and a unique set of new skills. But as I unpack and sift through the memories from my month abroad, I am filled with a deep need to U-turn and book the next flight back to Managua. I understand even more now why my sister returns to Haiti every year. Being in the third world opens your eyes to the myriad ways we can help our fellow earthlings and make a difference. It also forces you to stare your privilege in the face and leaves you feeling intensely grateful for everything you have in life. I came home so full of gratitude and very inspired. It’s an amazing elated feeling, especially considering how broke I am after that long trip! 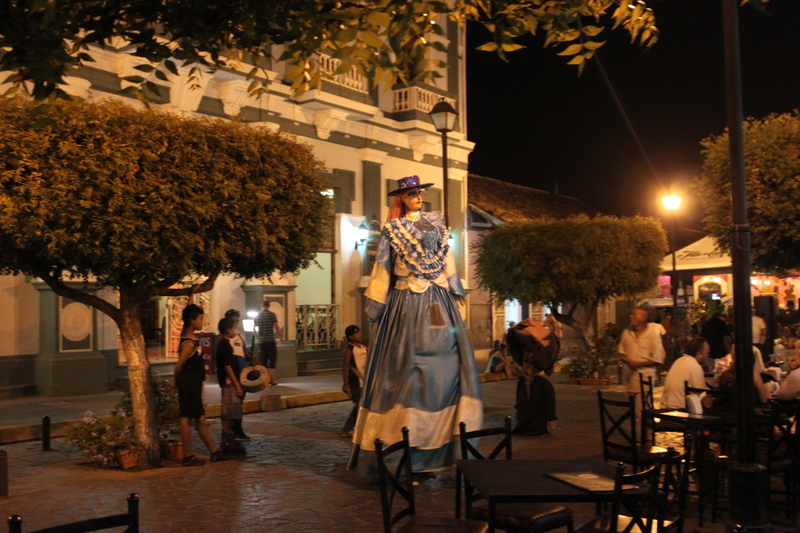 I hope to return to Nicaragua for an extended period in the future. Perhaps I can bring my computer and work from there for a few months. We can teach flow arts, get involved with local organizations, and become immersed in Spanish and a completely different culture. I wouldn’t mind a bigger dose of the humility that comes from doing without the comforts I am used to, adjusting to a new environment and being an outsider looking in on how different cultures live. I can see why James calls Nicaragua his second home, and it has more to do with how the place feels than the fact that he went to fourth and fifth grade there. 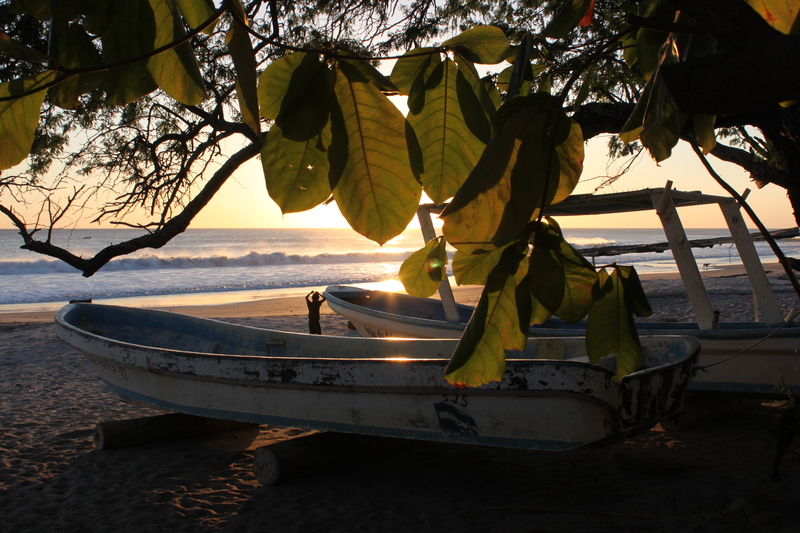 I feel the magnetism of home in Nicaragua, and it will definitely pull me back. Check out more photos from our trip on Flickr.